Fireworks Displays for Sports Venues | Melrose Pyrotechnics, Inc.
Fireworks Displays for Sports Venues: Magnify the Thrill! Major sports leagues around the nation call on Melrose Pyrotechnics as the fireworks display company who will deliver the celebration factor like no one else can. Whether it’s celebrating team introductions, opening ceremonies, delivery of the National Anthem, a stunning achievement, or the culmination of a high-powered sporting event, a professional fireworks display is the extra dimension that sends crowds into ecstasy. Fireworks in the arena, fireworks night at the stadium, or fireworks in the ballpark rank among our most high-demand venues. 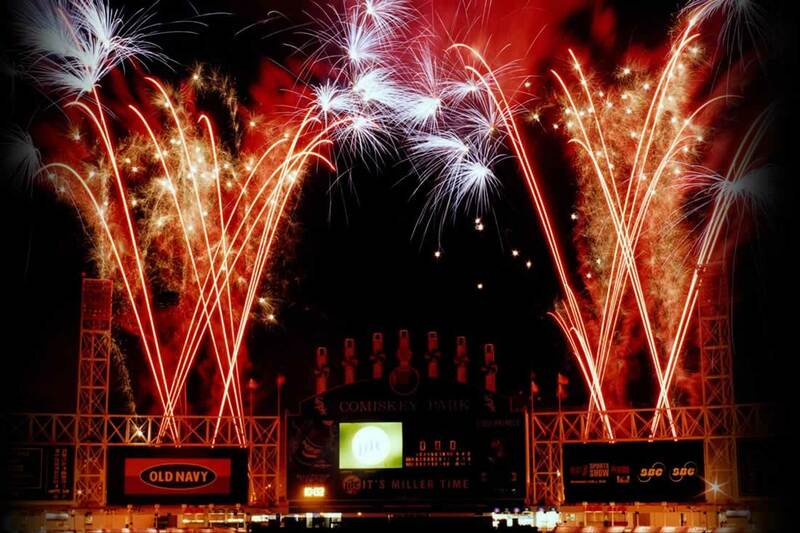 Major sports leagues around the nation call on Melrose Pyrotechnics as the fireworks display company who will deliver the celebration factor like no one else can and enhance the entertainment value to thrill your fans.